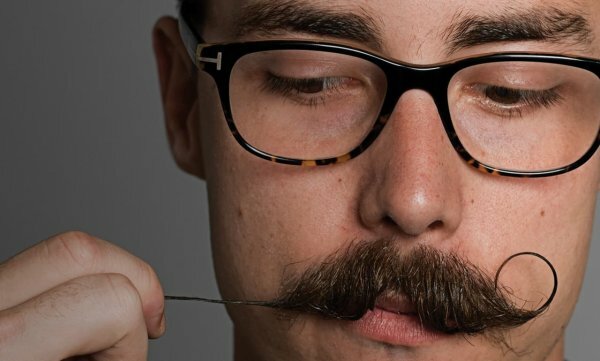 ALL NATURAL MATTERS – Even the most careful among us get a mouthful of moustache once in a while. Many waxes on the market are petroleum based-that’s oil and petrol! Don’t risk getting that inside your body. 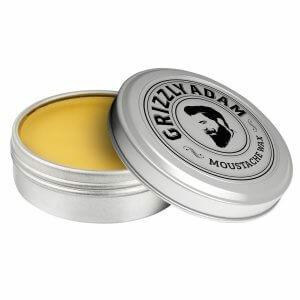 All natural beeswax is a safe alternative to harmful chemicals found in some mustache waxes on the market. STRONG FIRM HOLD – This strong moustache wax delivers superb styling and keeps your moustache in shape all day long. 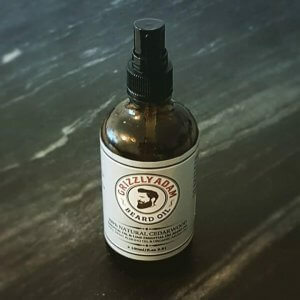 PERFECT BLEND – handcrafted from a perfect combination of lanolin, bees wax, and other select natural ingredients that helps shape those whiskers! 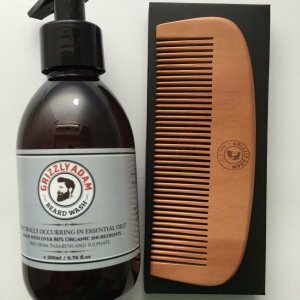 It offers a nice competition grade strong hold that is perfect for keeping the hairs off the lip and shaping those handlebars! 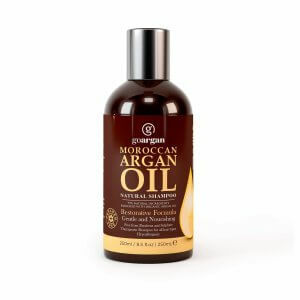 AWESOME SMELL – Has a subtle citrus smell that is not overpowering. 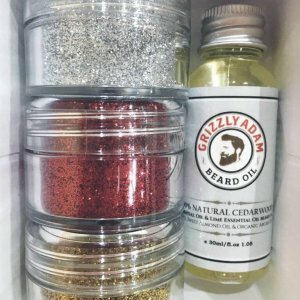 It will leave your mustache looking and smelling great! 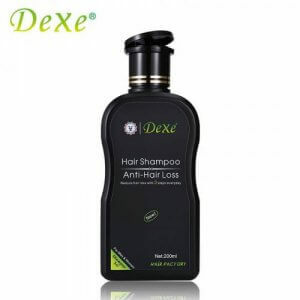 100% MONEY BACK GUARANTEE – no questions asked! If you don’t absolutely love it, we’ll refund it! Handlebar Mustache, here I come! 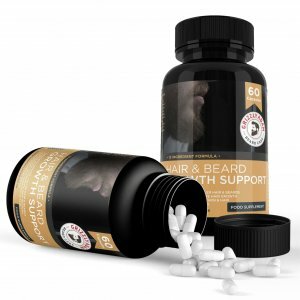 I'm new the the art of handle bar mustaches and this stuff works great! 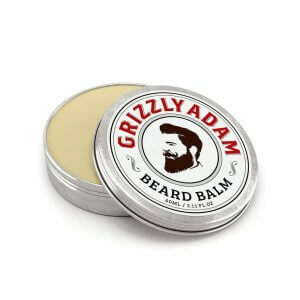 The real kicker for me was that the ingredients are all natural, unlike most other mustache waxes that contain petroleum and other things you really don't want near your mouth. Thanks for the feedback, hope its working out for you? 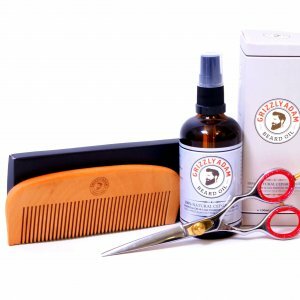 Do you like to curl your moustache and not have to worry about it drooping during the day? 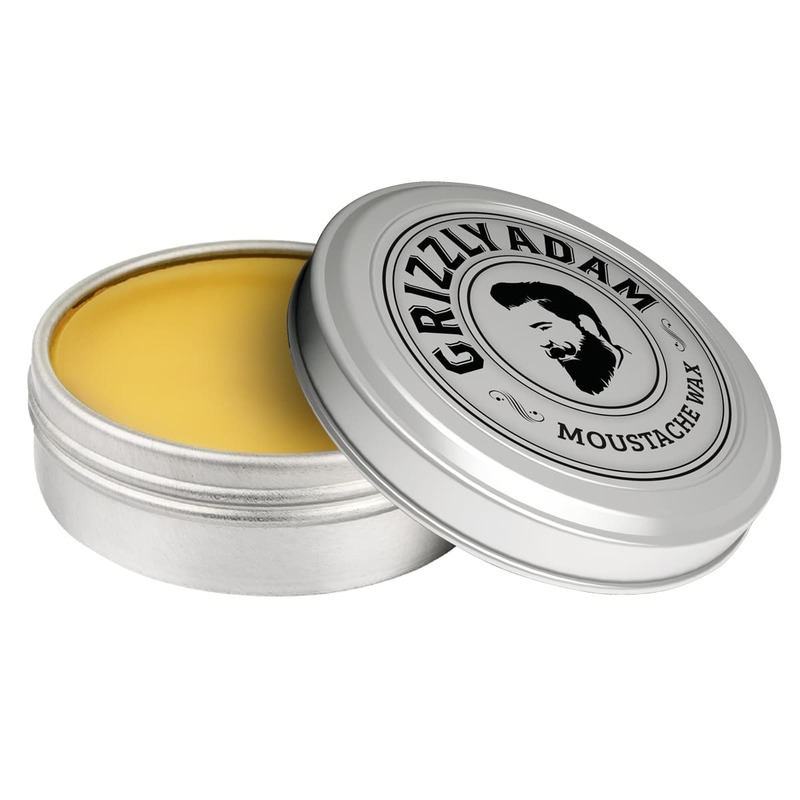 Or are you looking to tame and hold even the most unruly of moustaches? Then this is your wax. This wax smells great and contains no artificial dyes or fragrances. 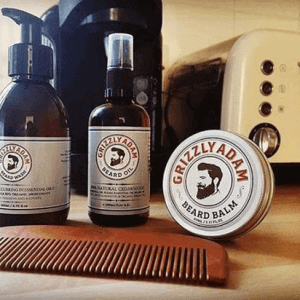 All Our products and waxes are soothing to your skin and will help stop itching caused by new growth and wild hairs as your mustache grows into the perfect handlebar. 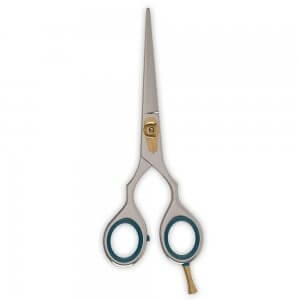 It provides one ounce of the extra hold you need when you are willing to spend a little more time upfront to achieve the hold. 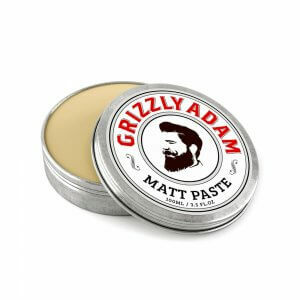 Some guys use it every day, but every guy should have it for when maximum hold is required! 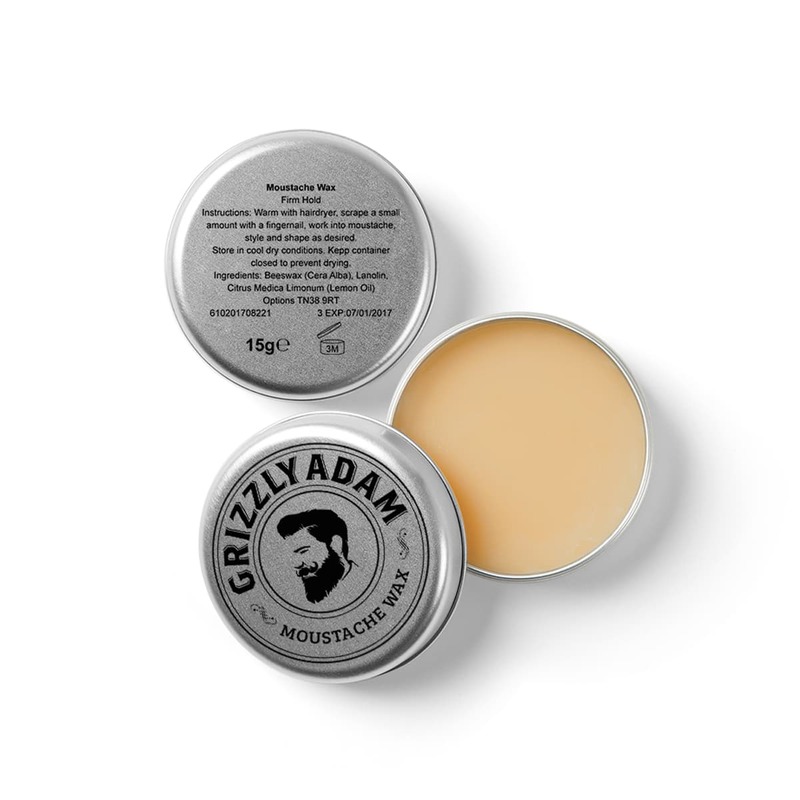 Handmade in small batches with all natural ingredients, GRIZZLY ADAM’s moustache wax will allow you to shape, style and twiddle to your heart’s desire.